"Was it a high dose of immunosuppression or any other drugs that were part of the preparation to receive the cells that is showing some of these (improvement) effects? We really don't know." The CEO of Novastem, the company running the Mexican stem cell trial, did not respond to a request by The Canadian Press for an interview. But Dr. Lev Verkh, chief regulatory and clinical officer for Stemedica, said his company's products — bone marrow-derived mesenchymal stem cells from young healthy donors and neural stem cells derived from donated brain tissue — don't trigger the immune system, so patients don't need medications, including immunosuppressant drugs. Verkh also said injected and infused stem cells don't work only at the site of injury — in the case of stroke, within the brain. "Cells are working in a number of different ways," including by getting to the site of injury and by stimulating a patient's own stem cells, he said in an email interview. There are various types of stem cells: those from bone marrow have long been used to replace blood and immune system cells of a person with intractable leukemia, for instance, while embryonic and adult induced pluripotent stem cells have the potential to become virtually any cell type in the body. Researchers around the world are trying to figure out how to harness their power to repair or regenerate diseased or damaged tissue without causing harm. Studies have shown that injecting embryonic stem cells, for instance, can cause tumours to form. "Stem cells inherently, one of their major features, is their incredible ability to grow and reproduce other cell types that are hopefully useful to the tissue or organ," said Bhatia. "So if they land in an uncontrolled area where they get to do what they do, one can imagine incorrect cells being produced or cells being produced in numbers that would somehow debilitate the tissue." 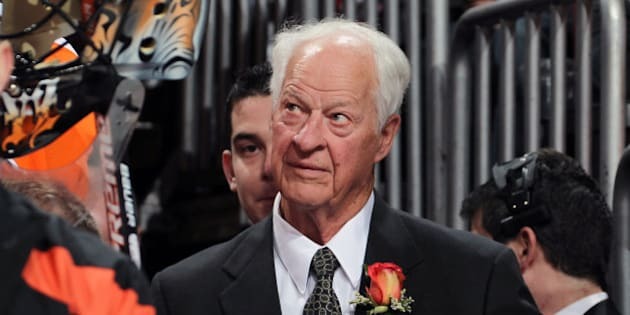 David McGuigan, vice-president of marketing and business development for Stemedica, knew Gordie Howe when he worked for the Detroit Red Wings in the late 1970s. So when he heard of Howe's strokes, he contacted the family about the clinical trial. "We believe that properly manufactured stem cells, first and foremost, are safe," he said from San Diego. "What we don't know is what kind of stem cells for what kind of medical conditions are going to yield what kinds of benefits." "That's why people all over the world ... are doing clinical trials," said McGuigan, adding that Howe is periodically having blood tests and functional assessments, "so that we can collect evidence so we can say: 'Here's what we know about. Here's what we think stem cells can do in treating stroke in the future.'" Yet Bhatia said the Internet is rife with stories of so-called stem cell tourism, where patients desperate for treatments to alleviate such conditions as Parkinson's, Alzheimer's and blindness have paid tens of thousands of dollars for unproven therapies at unregulated clinics in such countries as China, Mexico and Poland. "There are some people that are going from (holding) bake sales and car washes to selling their homes to do these things for their loved one," he said of fundraising efforts for out-of-country stem cell treatments. Michael Rudnicki, scientific director of Canada's Stem Cell Network, said some patients have suffered adverse effects from some procedures. He cited the case of one German clinic that was injecting stem cells into the brains of children; one of them died and two others were hospitalized with cranial bleeding, "and it did absolutely nothing" beneficial. "So there's real potential for doing harm," he said from Ottawa. While he can't speak specifically about Stemedica or Clinica Santa Clarita in Tijuana, where Howe was treated, Rudnicki is blunt in his assessment of many of these clinics. "This is real snake oil ... The whole design of these clinics is to separate money from patients by hyping hope, and it's very harmful." When it comes to Howe, Rudnicki said it's not clear how much the retired hockey great has improved or whether the stem cell treatment was responsible. "Sometimes a patient will suddenly get better, reflecting the nature of the injury. And 'a' person claiming to get better doesn't prove anything," he said. "The only way to show efficacy is by undertaking clinical trials in a controlled, rigorous way and to publish the data." Rudnicki said patients need to look at purported stem cell therapies with "eyes wide open." The Stem Cell Network also has prepared an information booklet to help patients assess potential treatments: www.stemcellnetwork.ca/index.php?page=patientbooklet&hl=eng.